Capitalism has been the most dynamic force for economic progress in history. Over the past century, it has delivered billions of people out of miserable poverty, raised living standards to once-unimaginable heights, and enabled an unprecedented flourishing of productive creativity. But among young Americans, it finds itself on trial. 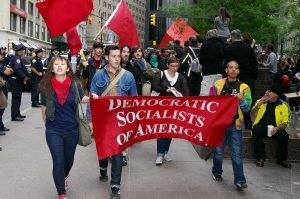 Overall, 49 percent in this group hold a favorable opinion of capitalism—and 45 percent have a positive view of socialism. Socialism gets higher marks than capitalism from Hispanics, Asian-Americans, and African-Americans. Sixty-one percent of Democrats take a positive view of socialism—and so do 25 percent of Republicans. It’s all COMMUNISM no matter how you present it!! !